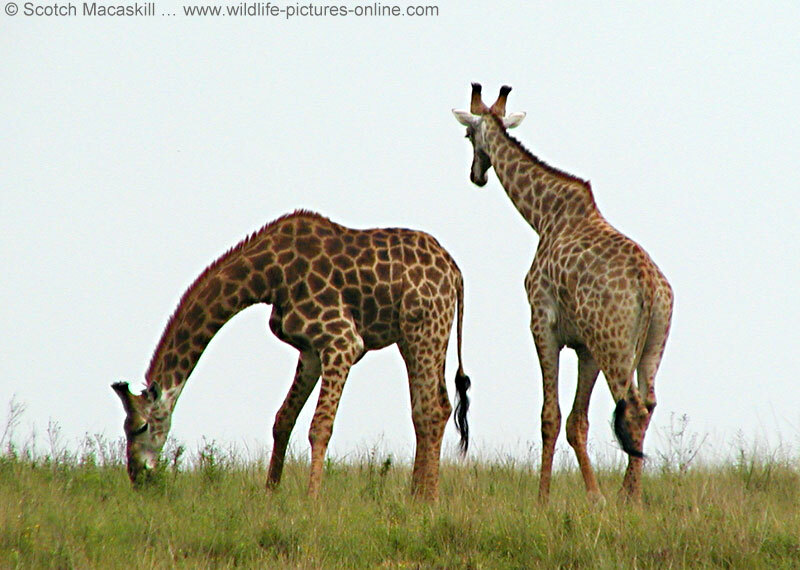 All the images displayed in this giraffe gallery were taken at Tala Game Reserve, near Durban on South Africa's east coast. 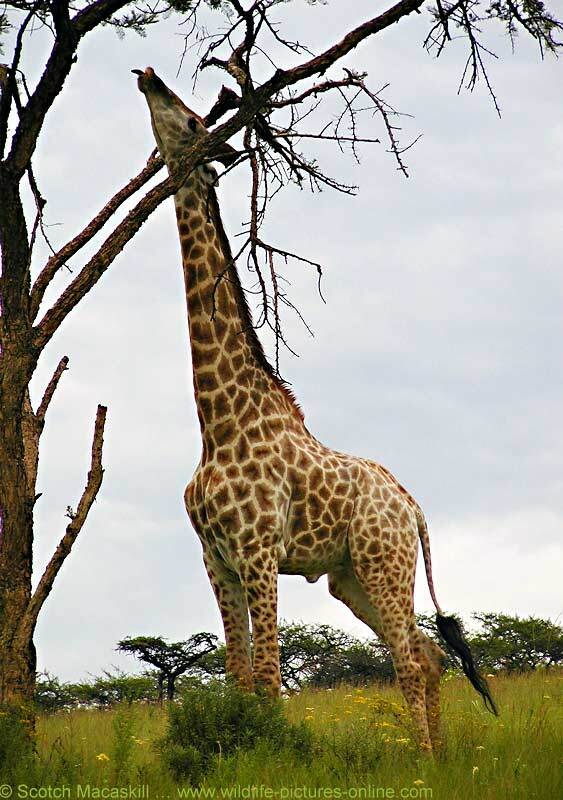 This private nature reserve's mix of thorn trees and open grassland supports a diversity of wildlife and offers good opportunities for photographing giraffe, white rhino, zebra, and a variety of antelope. 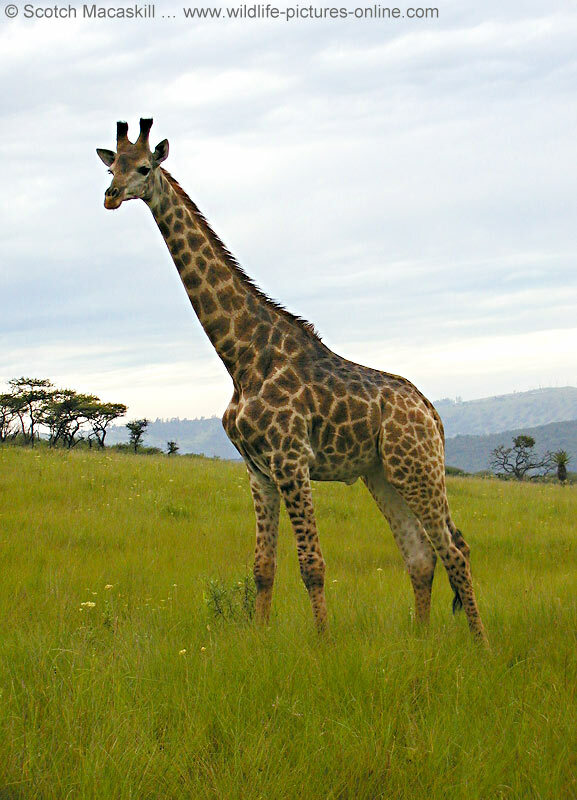 Tala is unique in that it is surrounded by farms and other development, yet much of this is hidden once you are in the game reserve. 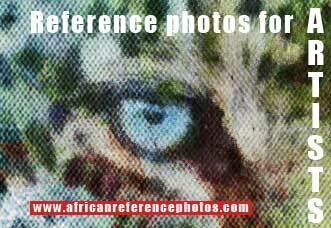 The animals have grown accustomed to vehicles, so you don't need a long telephoto lens. 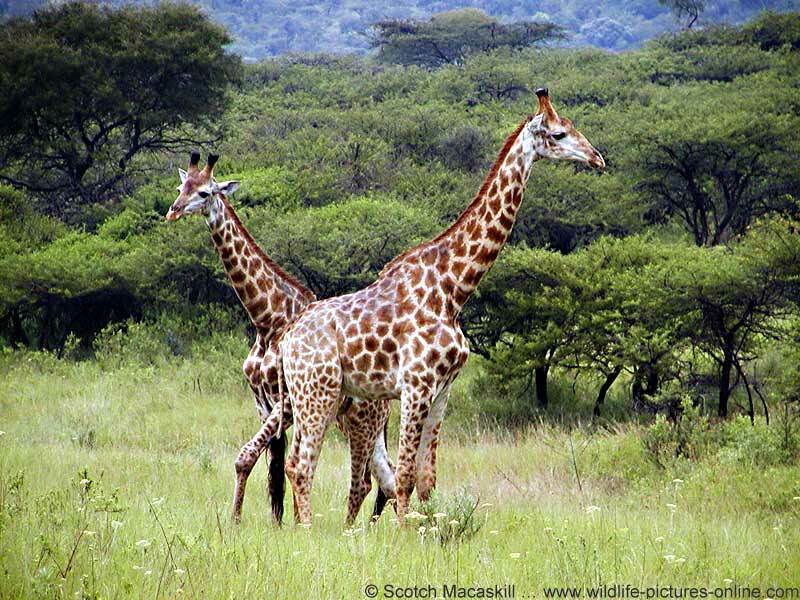 This is particularly so with giraffe - because they're such big animals, you only need a digital camera with a 2x or 3x optical zoom to fill your frame. 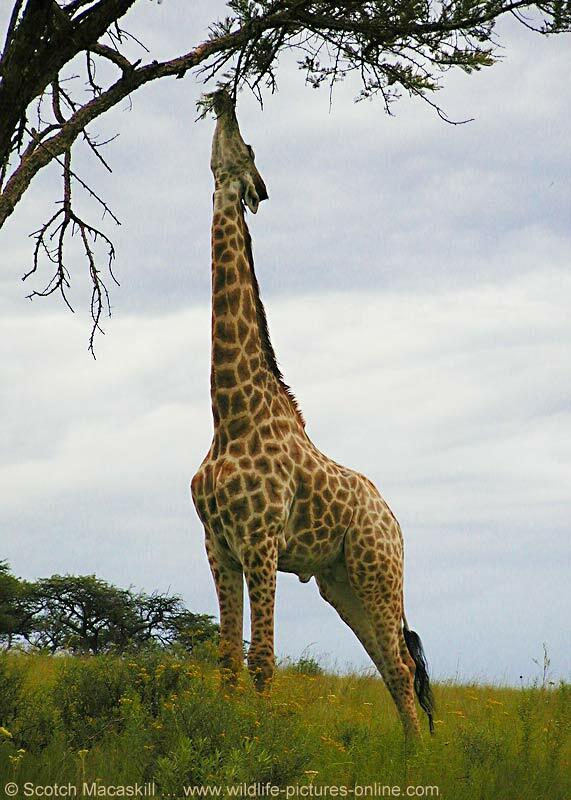 Tala is also in a malaria-free area, which is a huge bonus for the fleeting visitor who wants to avoid taking anti-malarial medication. 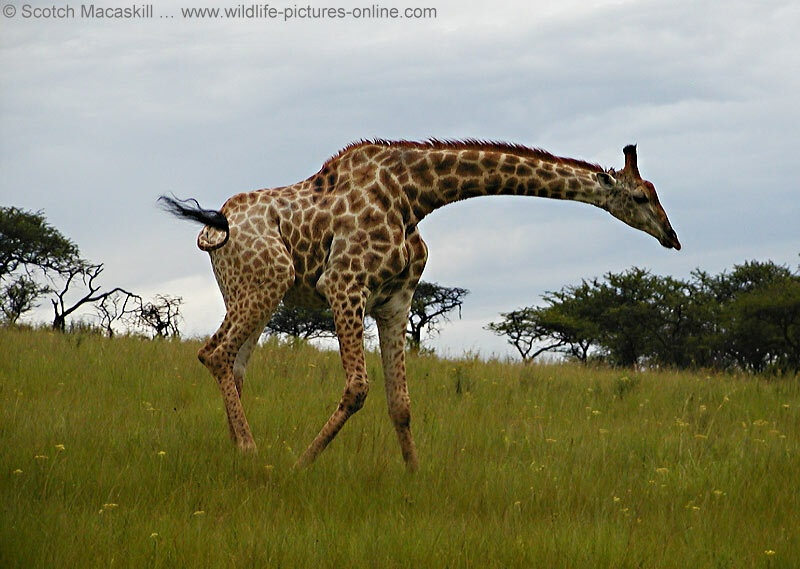 For visitors to KwaZulu-Natal Province who want a more comprehensive wildlife safari, the area is rich in nature reserves, both private and state-run. 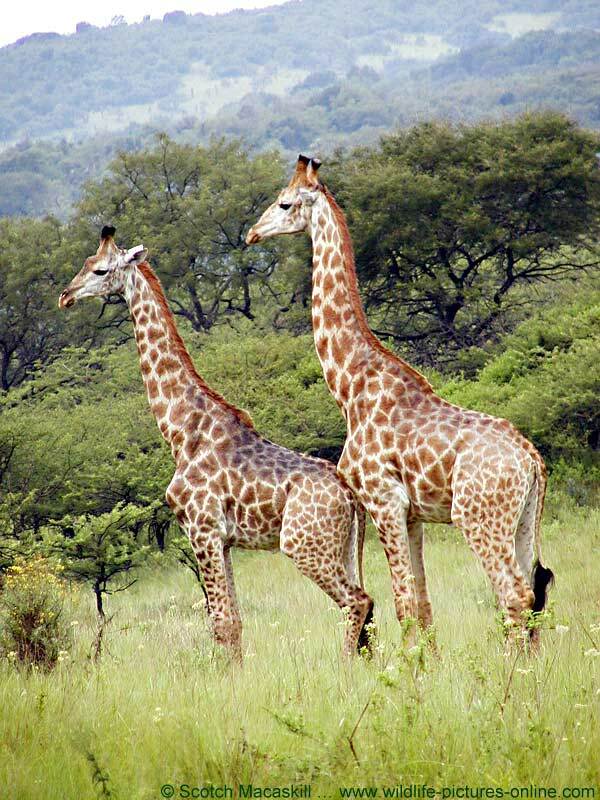 The largest of these is the Hluhluwe-Umfolozi Park, to the north of Durban, that covers an area of 96 000 hectares. 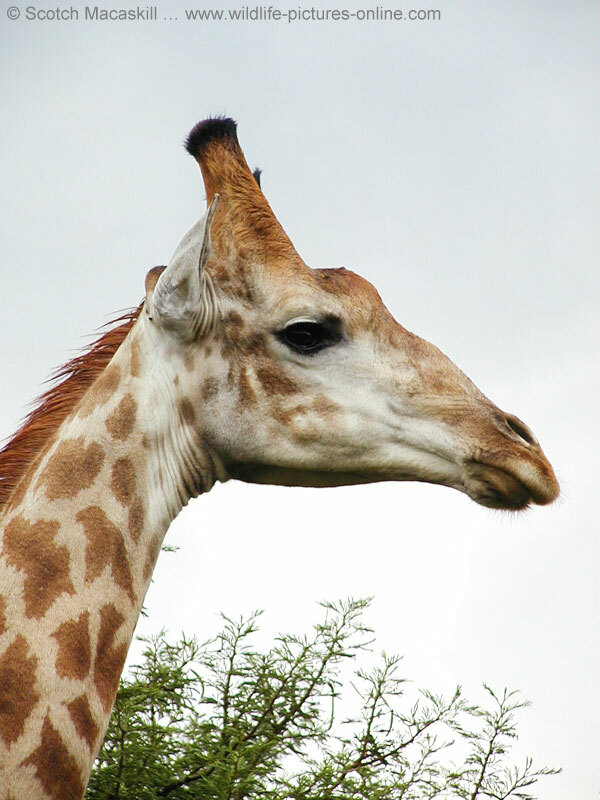 In addition to the "Big Five" (lion, elephant, rhino, leopard and buffalo), inhabitants of the park include well-known bushveld species such as giraffe, zebra, cheetah and a variety of antelope. 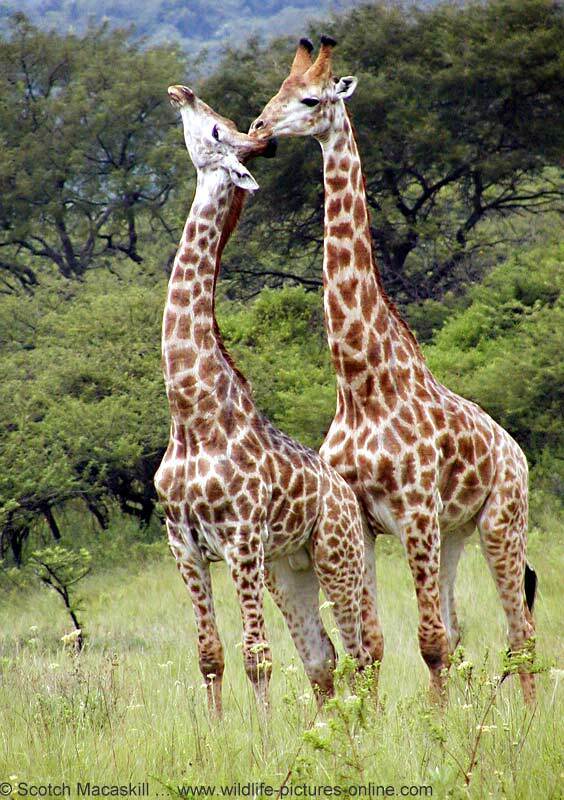 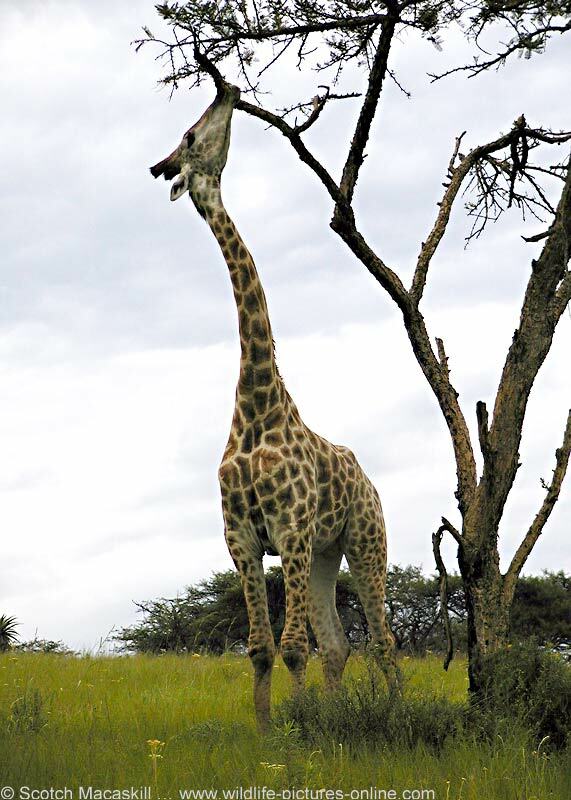 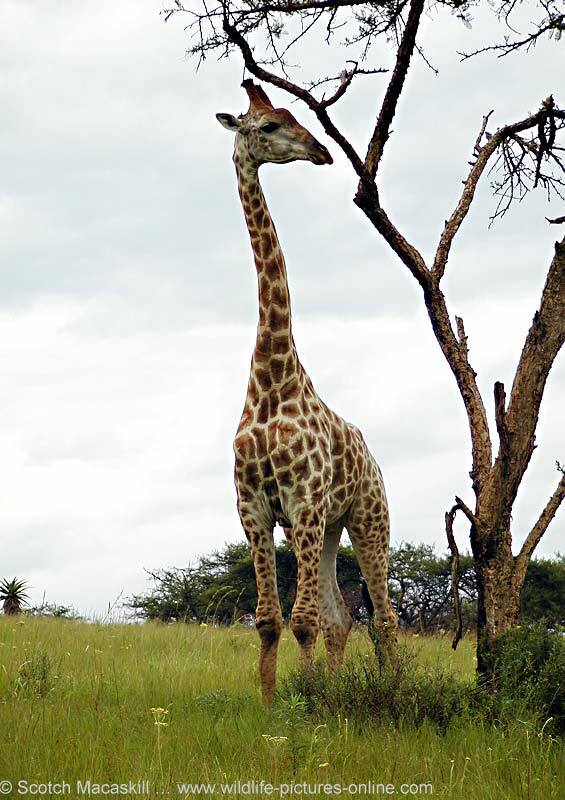 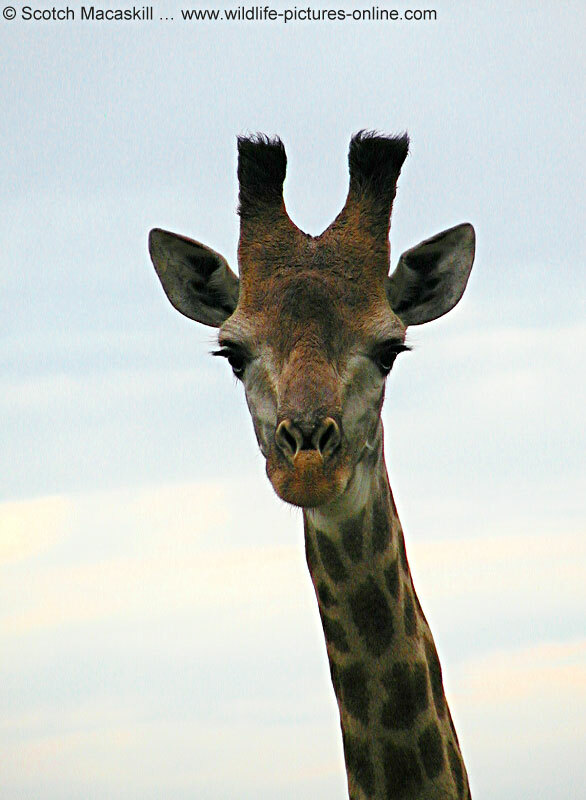 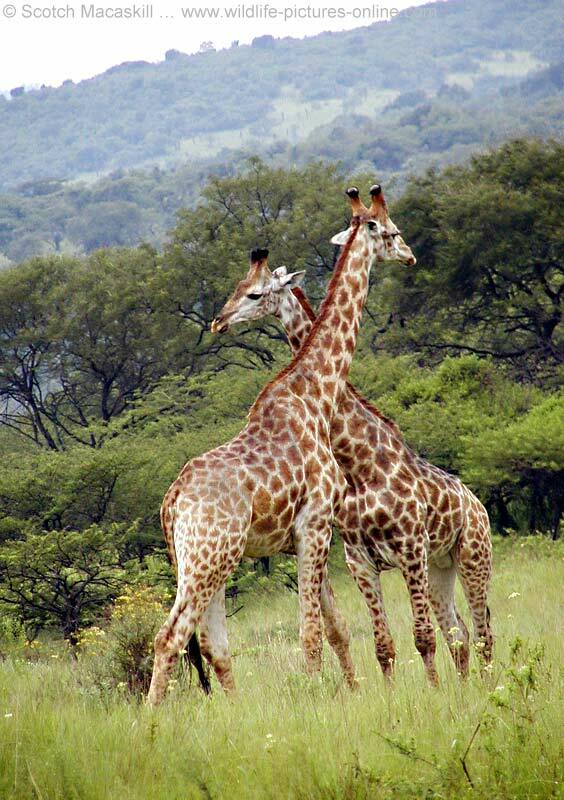 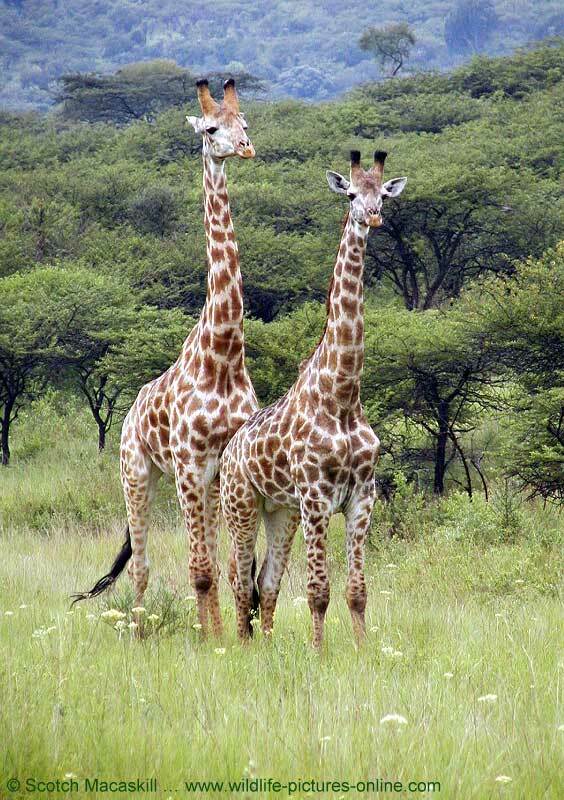 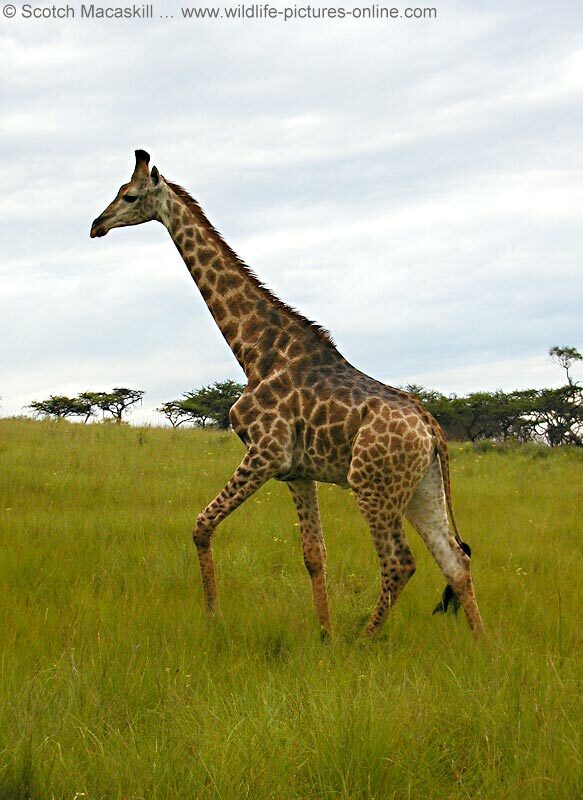 To find out more about giraffes, see the Giraffe Information page.